Somerville is considering expanding the right to vote in municipal elections to residents as young as 16 years old and non-citizens in an effort to increase electoral participation, the city announced in an Oct. 17 press release. The policy considerations follow two of the recommendations Somerville’s Clean and Open Elections Task Force, a nine-person council of city officials, elections researchers and community members convened by Mayor Joseph Curtatone to study ways to improve the city electoral processes. The Task Force released its final report on Oct. 5. According to the report, the Task Force’s three goals were to increase turnout, make candidate participation easier and increase election openness and transparency. According to Josh Rosmarin, a member of the Task Force who works for the Analyst Institute, an organization focused on increasing voter turnout, much of the report was based both on what other cities have done and on academic research, rather than untested measures. For example, the report examines the Maryland cities of Takoma Park and Hyattsville, both of which lowered the voting age in city elections to 16. According to the report, Takoma Park has also allowed non-citizens to vote since 1992. However, Rosmarin noted that the two recommendations currently being considered by Somerville are grounded largely in moral arguments despite the report’s inclusion of specific case studies to support them. In summarizing these arguments, Rosmarin explained that younger citizens and non-citizens contribute to, live in and are affected by the decisions the local government makes — a sentiment echoed in the report. “These suffrage rights expansions would advance basic justice in our city by substantially increasing the number of Somervillians who could participate in municipal elections,” the report states. Curtatone also advanced his own arguments in favor of the expansion of suffrage rights in the city’s Oct. 17 press release. Ward 3 Alderman Ben Ewen-Campen noted that, although he wishes to see the proposals currently being considered by Somerville to be implemented, allowing non-citizens to vote could be difficult, since it would require separate ballots that do not include state and national elections. The report also states that its mission is especially important in light of increased voter turnout and political participation following the 2016 election, a sentiment echoed by Ewen-Campen, who added that voter participation is typically lower in municipal elections. “We need to do everything we can to get everyone involved, and basically, there’s kind of a disconnect between voter engagement around national big scope issues and local issues,” he said. In the city’s press release, Curtatone noted that the Task Force report is a critical response to nationwide efforts to limit voting rights. “In a time when voting rights protections are declining and voter suppression is often going unchecked, their proposals for expanding democratic participation at the local level deserve serious consideration — and action,” he said. The press release also notes that lowering the voting age and expanding suffrage to non-citizens would ultimately require the permission of the Massachusetts State Legislature, either by changes to Massachusetts General Law or via the acceptance of home rule petitions that would grant Somerville jurisdiction over the issue. 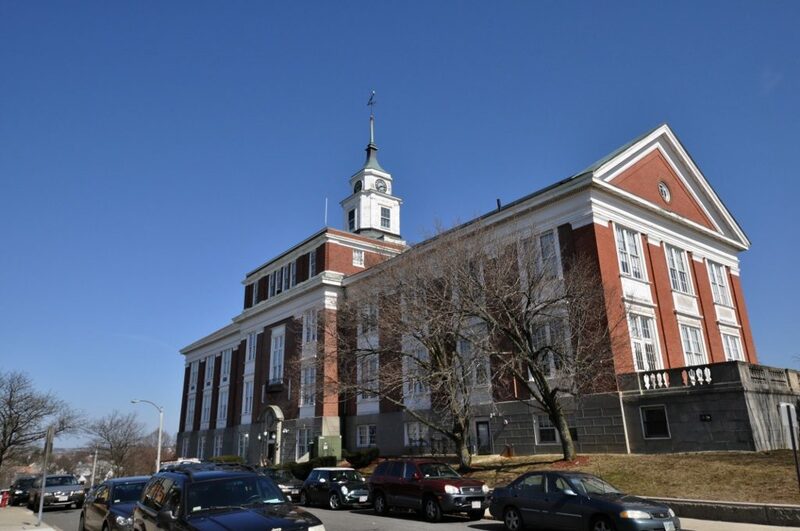 Home rule petitions must be drafted by the mayor and approved by the Board of Aldermen, according to Jackie Rossetti, deputy director of communications for the City of Somerville. From there, both the Massachusetts State House and Senate must approve the petition for review by the governor. “The entire process can take several months to a year,” Rossetti told the Daily in an email. She added that the significant time needed to approve home rule petitions partially explains why these two proposals are the first to be considered. Ewen-Campen said the Board of Aldermen has received a home rule petition for consideration but will most likely not begin discussing it before next year. Expansion of voting rights for non-citizens and individuals under 18 years old comprise just two of the 16 policies advocated by the Task Force. The report also considers whether holding municipal elections at the same time as state elections would be effective in increasing participation and cites several cities in California where voter participation increased after implementing similar measures. Research on the subject claims that such a policy could as much as double voter participation, according to the report. The Task Force also suggested relocating polling locations to “ensure that all voters feel safe and welcome,” citing previous polling locations in police stations and religious institutions. “If you’re a person of color … or someone who has a background who has personally been dealing with structural racism, you could very legitimately have some [reservations] about going to a police station to cast your vote through no fault of your own,” Rosmarin said. The report acknowledges that though there is little literature on whether moving polling places would change voter turnout, the value of allowing voters to feel safe is worth the change.